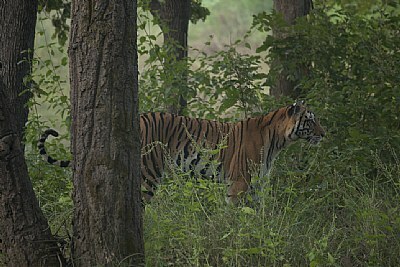 About tigress taking a walk in the park, soon after. On the prowl. Nice "portrait." This tyger has a very long tail.